Cecilia FENG was born in Tainan, Taiwan 1953 and graduated from the best university, National Taiwan University. She spent three years in Salamanca Art School in Spain learning painting followed by years in New Orleans Academy of Fine Arts. In her 30 years of oversea experience, Cecilia set her foot over 10 countries across continents: Europe, America, Africa, and Asia. She has never stopped participating in local art activities and cumulating her power with artist’s keen sense to draw from each unique cultures before release into her works. Cecilia’s painting is apparent with extreme soft tone between lights and shadows and the distinct language comes out from it. 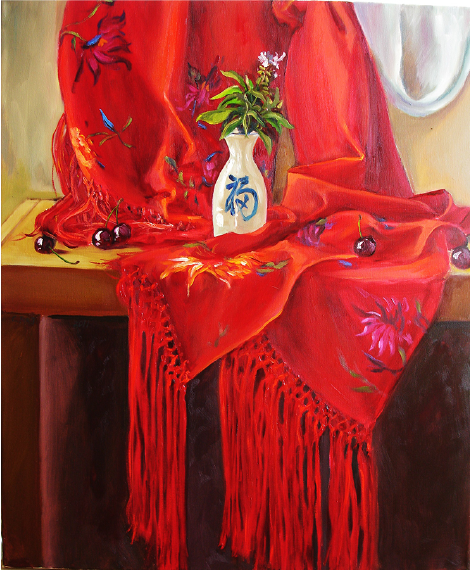 Viewers are surrounded by her abundant emotions and enjoying moments of tranquility in their busy life.